Click on this link (About Petroglyphs) to learn more about Ancient Native American symbols and their various interpretations. 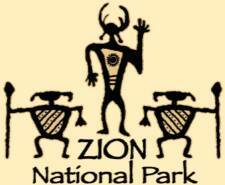 Located just 1 mile from the Southern Entrance to Zion National Park. Designs and Colors currently available. 3. Click Here to order now on our secure site. Most Credit Cards are accepted. Our Tee Shirts are of the highest quality, 100% pre-shrunk cotton. We offer a wide variety of garment dyed colors as well as standard white. We specialize in our own exclusive designs, on T-s that are created in house, representing petroglyphs and pictographs of the American Southwest.